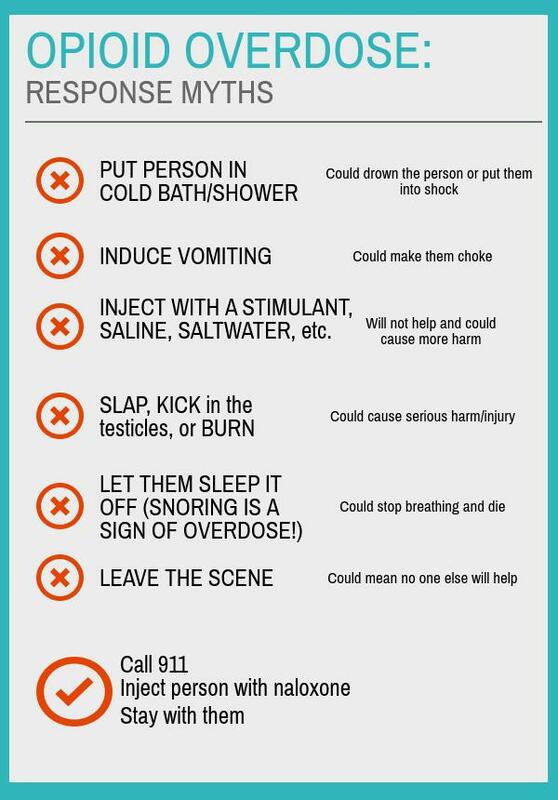 What NOT to do when responding to an overdose. Often times, people will try different things to revive a person from their overdose - either things they have heard may help, or what they have witnessed others doing. Leaving the scene ... DO NOT leave the overdose victim alone.